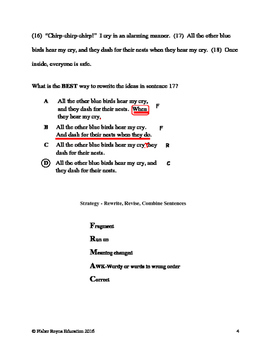 This product provides specific test taking practice for multiple choice writing tests. 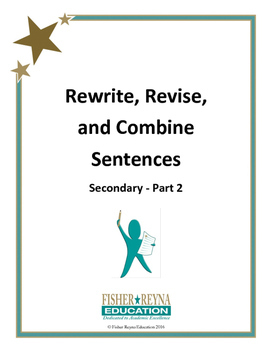 The items included in this packet utilize a strategy for revising, rewriting, and combining sentences. An answer key for every student item is included. This product includes 16 student items. In addition, the first item includes a ready-made lesson that teaches the strategy students will be asked to use. The students will identify fragments, run-ons, awkward wording, or errors in meaning. The task analysis and test-taking strategy is fully explained.